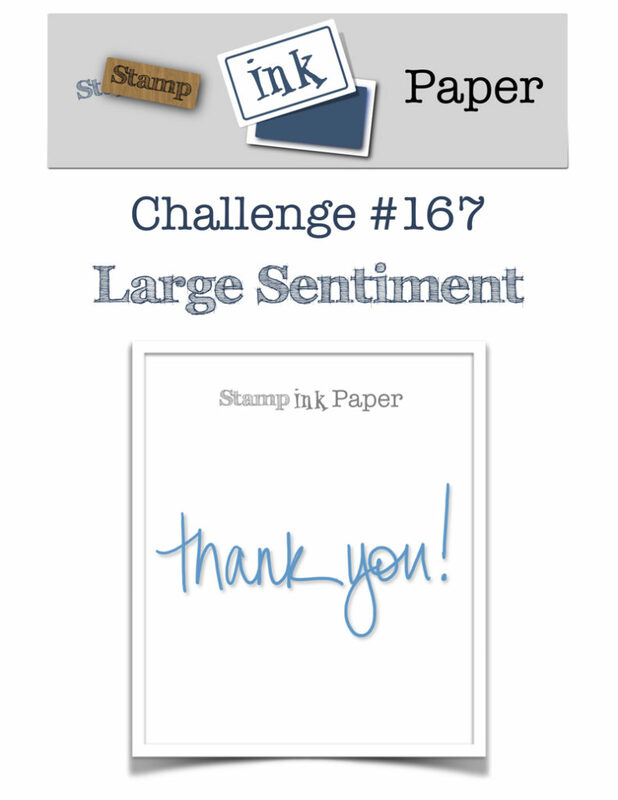 SIP Challenge 167 – Large Sentiment! Home / Blog / SIP Challenge 167 – Large Sentiment! I have a few of the Concord & 9th Turnabout Stamps that I haven’t had the chance to play with so I pulled one out to have a little play! My background is stamped on a piece of Solar White 80lb with Hippo, Freshly Cut Grass, Merman and Fresh Lavender Ink using the Concord & 9th Lovely Blossoms Photopolymer Stamp and my MISTI. It’s adhered to a card base of Neenah Solar White 110lb Card Stock. 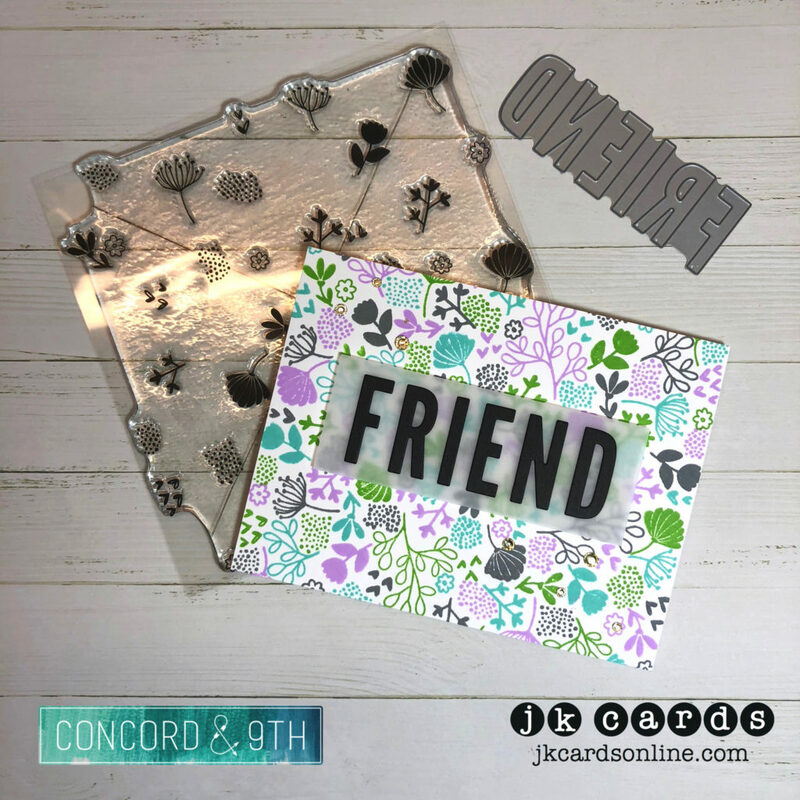 For my greeting I used the FRIEND from the Concord & 9th Posie Fill-In Die and cut it out from Black 110lb. It’s adhered to a piece of Vellum with Glue Tube. To add it to the card I cut some Black 3D Foam Squares and hid them behind the letters. Just a few Basic Jewels Rhinestones scattered across from top left to lower right complete the card! I really do love those Turnabout Stamps, you can make awesome backgrounds in any color that you want! This entry was posted in Blog, Cards, Concord & 9th, Crafts, Embellishments, Lawn Fawn, Photopolymer, Stamps and tagged Card Making, Concord & 9th, Crafts, Lawn Fawn, SIP Challenge. Bookmark the permalink. 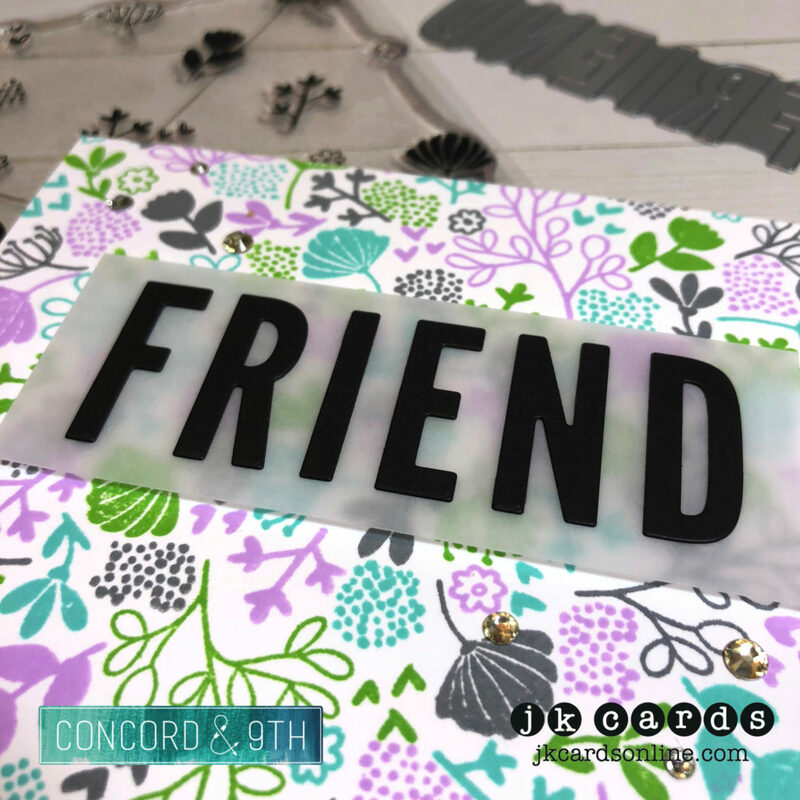 Where Creativity Meets Concord & 9th – Color Inspiration!